If you’re in love with the on-style and flattering asymmetric hemlines piece. This tunic top would be on your crochet list. 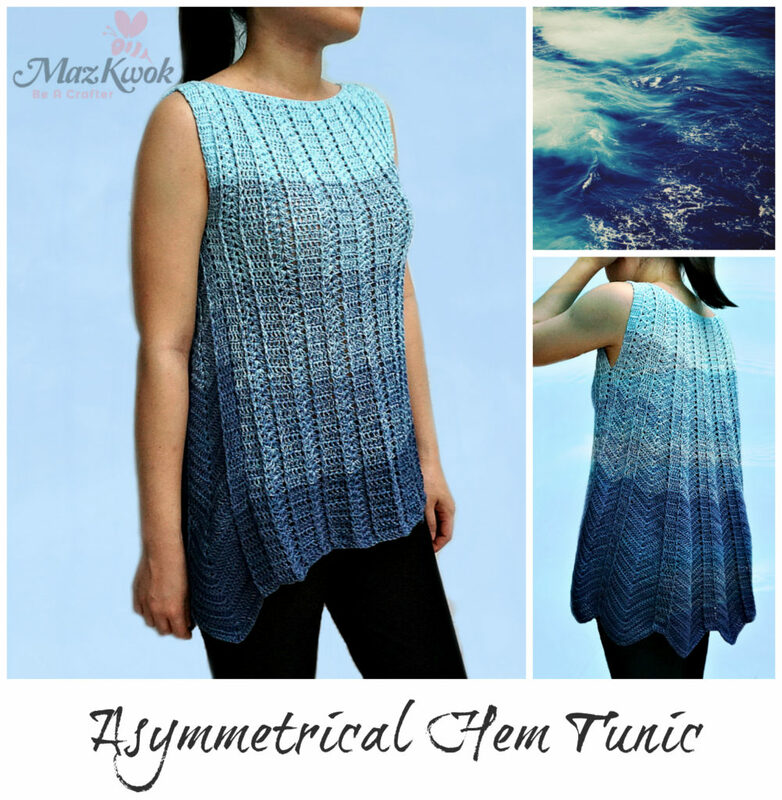 The comfortable fit top is designed with boat neckline, flowy back and self striping blue cotton yarn. 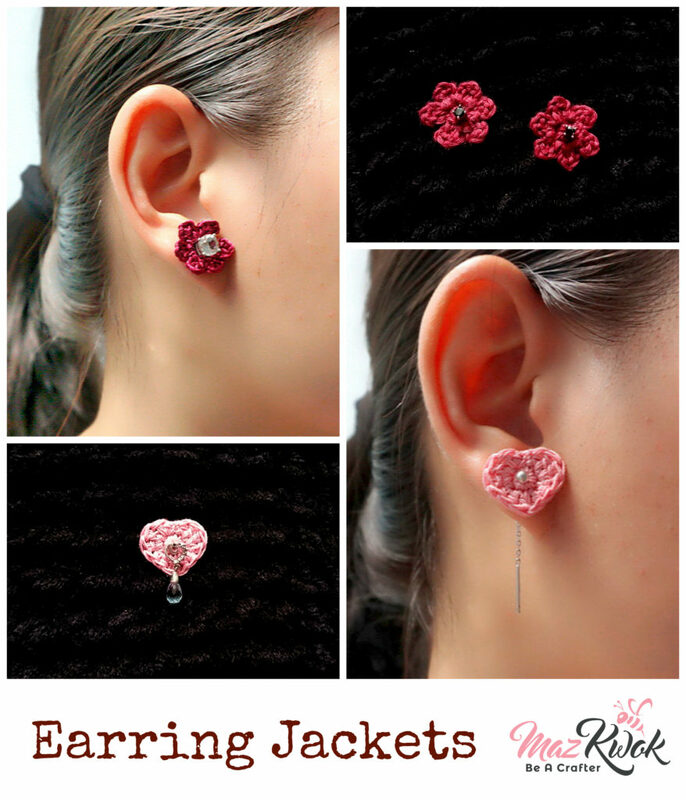 Pattern is beginner friendly since it’s made with simple crochet stitches. At last, I have my crojo back after the Lunar New Year holiday ( Thanks to my pretty fashion dolls ). 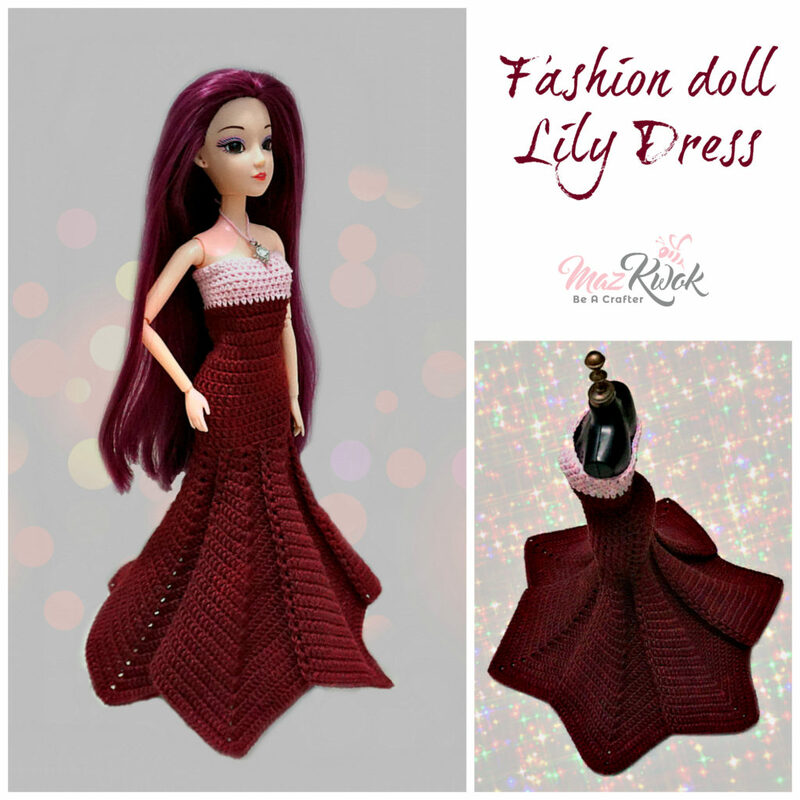 This crochet strapless mermaid dress is inspired by Lily flowers. I love how the bottom turned out.